Historic military vehicles — as seen from the 2012 parade — will again be a big part of the 2013 Kennett Square Memorial Day parade. KENNETT SQUARE — It just wouldn’t be Memorial Day without the parade! 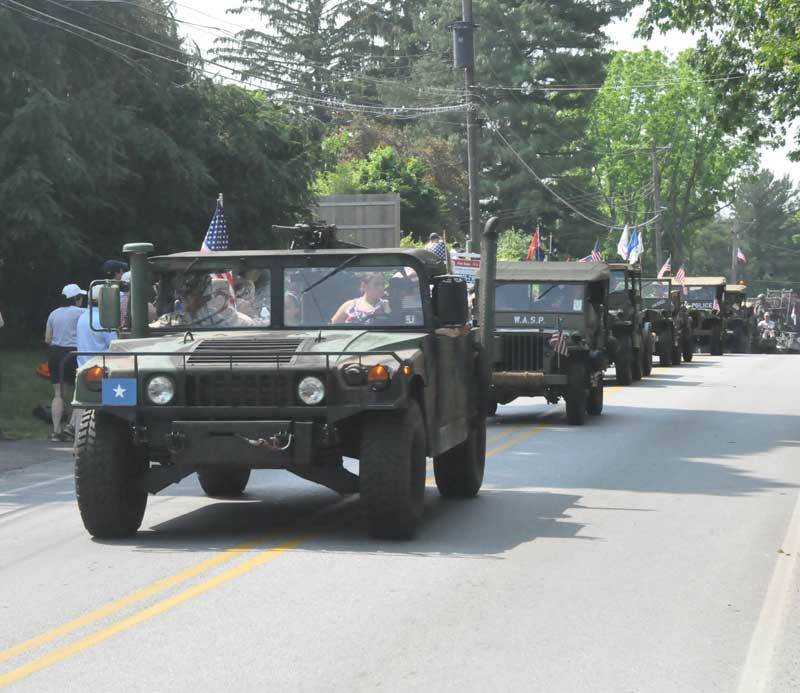 The annual Memorial Day Parade will again take place on May 27, starting at 10, running its usual route through the Borough and up Route 82, ending with ceremonies at Union Hill Cemetery. There will be more than 1,000 participants, ranging from marching bands — including Unionville and Kennett high schools — and color guards to historic re-enactors, WWII Grand Marshalls, bag pipers, and fife & drum companies. One of the highlights of this year’s parade will be the Joseph A. Ferko Mummers String Band, Marine Color Guard, more than 100 veterans in antique military vehicles and convertibles, Dixie Demon Alumni Band, Penn Dixie Band, Christiana Clampetts, Lion Club Band, Ameri-Kids Choral, Camptown Shakers Civil War Band, Bayard Middle School Drumline, 1899 Carousel Street Organ, Antique Bikes, Uncle Sams, Shriner’s Mini Cycles, Antique Helicopter, 1940’s Andrew Sisters, Service Clubs, Churches, Floats, Upland Country Day School, Singing Summer Camp Choral, Scouts, KAU Little League, Chinese Folk Dance Troupe (they were in 2013 Inaugural Parade), Chinese American Community Center Lion Dance Club, Fire Companies and much, much more.